landscape paintings. After the government of the Saga Domain set up kilns that produce only gifts for the government here in the Edo Period, pottery makers here continued providing potteries to the Tokugawa Shogunate and the government officials until the end of the Edo Period. The area is scattered with old brick chimneys and 30 kilns, and you can feel the history and tradition of about 350 years alive here. 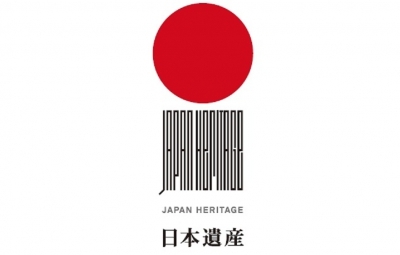 The Agency for Cultural Affairs recognize stories of its culture and tradition through historical attractions or features as “Japanese Heritage”. 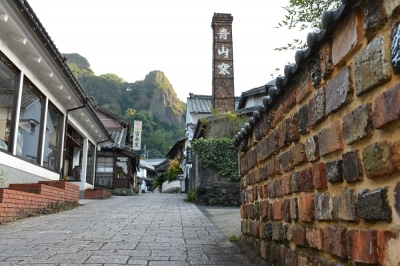 In April, 2016, the history and landscape of Okawachiyama was recognized as “Hometown of Japanese Pottery, Hizen ～Pottery Walk with Simultaneous Emergence of Many Talents and Achievements ～". 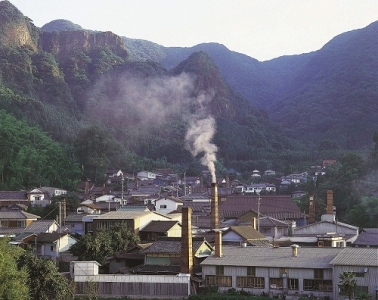 In “Michelin Green Guide Saga Online” that introduces tourist spots giving one to three stars to foreign tourists, Okawachiyama has received two stars as a place that is “worth visiting”.The Agency for Cultural Affairs recognize stories of our culture and tradition through historical attractions or features as “Japanese Heritage”. In April, 2016, the history and landscape of Okawachiyama was recognized as “Hometown of Japanese Pottery, Hizen ～Pottery Walk with Simultaneous Emergence of Many Talents and Achievements ～". In “Michelin Green Guide Saga Web Version” that introduces tourist spots giving one to three stars to foreign tourists, Okawachiyama has received two stars that mean “worth visiting”. For a guided tour, please contact Imari City Tourism Volunteer Guide Organization【℡0955-22-7934】in advance.